More Nick: Exclusive Lincoln Loud Interview & Top Challenges of 2016 | Nickelodeon! More Power Rangers: Nickelodeon USA To Premiere "Power Rangers Ninja Steel" On Saturday 21st January 2017! Watch more Power Rangers on Nickelodeon and Nicktoons! More Nick: Karisma Hotels & Resorts To Open Nickelodeon Resort in Cartagena, Colombia! Follow NickALive! on Twitter, Tumblr, Google+, via RSS, on Instagram, and/or Facebook for the latest Christmas on Nickelodeon Latin America and SpongeBob SquarePants News and Highlights! More Nick: Jace Norman & Henry Danger Cast's Never-Before-Seen Auditions | Nickelodeon! Watch more Henry Danger on Nickelodeon and TeenNick! Follow NickALive! on Twitter, Tumblr, Google+, via RSS, on Instagram, and/or Facebook for the latest Nickelodeon UK and Henry Danger News and Highlights! Miraculous Ladybug – Lindalee Kids Kitchen | Miraculous Milkshakes! More Miraculous Ladybug: Lindalee Kids Kitchen | Miraculous Cat Noir Milkshakes! Catch more Miraculous Ladybug on Nickelodeon USA! Follow NickALive! on Twitter, Tumblr, Google+, via RSS, on Instagram, and/or Facebook for the latest Nickelodeon Latin America and SpongeBob SquarePants News and Highlights! More Nick: Holiday Tongue Twisting Challenge w/ Kira Kosarin, Riele Downs, Jade Pettyjohn & More! | Nickelodeon! Follow NickALive! on Twitter, Tumblr, Google+, via RSS, on Instagram, and/or Facebook for the latest Nickelodeon and Rufus 2 News and Highlights! More Nick: Os 5 Momentos Mais Legais | Eu Sou Franky | Nickelodeon Brasil! Scene from the SpongeBob SquarePants Christmas holiday special, "Christmas Who?". 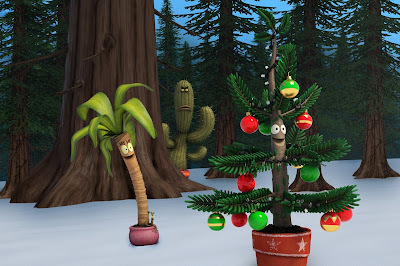 Visite mundonick.uol.com.br para mais Natal na Nick 2016! More Nickmas: Nickmas Selection Box | Nickelodeon Latinoamérica And Nickelodeon Brasil! Follow NickALive! on Twitter, Tumblr, Google+, via RSS, on Instagram, and/or Facebook for the latest Christmas on Nickelodeon Brazil and SpongeBob SquarePants News and Highlights! More Nick Kicks: Nick Kicks | Mannequin Challenge | Nickelodeon UK! Tune into Nick Kicks Fridays at 5:30pm on Nicktoons UK & Ireland (repeats Saturday at 10am), plus check out nicktoons.co.uk/nickkicks and the award-winning Nick Play app for more footie-tastic Nick Kicks videos, behind-the-scenes content, polls, quizzes and games! Back of the net! Scene from The Loud House episode "Out on a Limo". More Nick: Nickelodeon Brazil And Sincrocine Produções Partner For New Locally Produced Animated Series, "Tainá, A Protetora da Floresta"! Follow NickALive! on Twitter, Tumblr, Google+, via RSS, on Instagram, and/or Facebook for the latest Nickelodeon Brazil and The Loud House News and Highlights! More Nickmas: Ho Ho Holiday | La stilista dei pupazzi di neve | Nickelodeon Italia! Follow NickALive! on Twitter, Tumblr, Google+, via RSS, on Instagram, and/or Facebook for the latest Christmas on Nickelodeon Italy and Nickelodeon's Ho-Ho Holiday Special News and Highlights! Mehr Nick: Nickelodeon Germany, Switzerland And Austria To Premiere "The Day Henry Met" On Monday 23rd January 2017! Follow NickALive! on Twitter, Tumblr, Google+, via RSS, on Instagram, and/or Facebook for the latest Christmas on Nickelodeon Germany and Game Shakers News and Highlights! Miraculous Ladybug – Lindalee Kids Kitchen | Miraculous Cat Noir Milkshakes! More Miraculous Ladybug: THE MIME | Full Epsiode | Tales of Ladybug & Cat Noir! 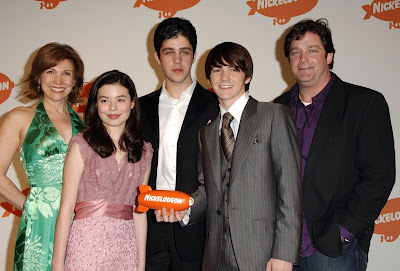 Walter from Nickelodeon's hit noughties hit Drake & Josh has apparently fallen on rough times. It's been nearly 10 years since Drake & Josh ended, and according to a new video posted by Drake Parker (Drake Bell), it seems life hasn't been kind to dad Walter Nichols (Jonathan Goldstein). Walter is now "missing," Drake says in the video before urging anyone in the San Diego area to be on the lookout and alert the authorities if they spy him. No one — including Josh (Josh Peck), Megan (Miranda Cosgrove), and Drake's Mom, Audrey Parker-Nichols (Nancy Sullivan) — has seen the Parker-Nicholas patriarch. The only thing they have to go on is a shady cell phone video of a feral-looking Walter digging in someone's trashcan. Maybe we should blame meteorologist Bruce Winchell, Walter's nemesis who always wins all the awards and has really great hair, for Walter's downfall — a man can only take so much rejection before he snaps. It's cool to see Bell and Goldstein continuing the Nickelodeon show's storyline, especially since the duo told MTV News earlier this year that they're working on a new project together. This #WheresWalter business seems like a fun bonus for fans. Goldstein posted a pic on Instagram of the #WheresWalter logo, captioning, "Brace yourselves." After Bell tweeted the video Thursday night (December 29), fans were quick with the Drake & Josh puns (because this fandom is one of the best). One person "claims" to have found him, but learned "he doesn't like cumin." After the Cumin Waffle Fiasco of 2005, it's a no-brainer as to why. Check out the video above and get ready for some long-overdue shenanigans! More Nick: “Drake & Josh” Season One Theme Song! Watch more Drake & Josh on Nickelodeon and TeenNick! Original source: MTV News; Additional sources: Wikipedia (I, II), Alternative Press. New Years Day 2017 On Nickelodeon UK, Nicktoons And Nick Jr.
NickToons UK and Ireland will be celebrating New Year's Day with a schedule packed full of episodes of SpongeBob SquarePants, The Loud House, Harvey Beaks, The Fairly OddParents, Breadwinners, Teenage Mutant Ninja Turtles, Sanjay and Craig, Grizzly Tales, Get Blake!, Oggy and the Cockroaches, and Power Rangers Megaforce! Nicktoons's full New Years Day schedule can be found on nick.co.uk. Nick Jr. UK and Nick Jr. Too will be celebrating New Years Day by showing episodes of favourite Nick Junior UK shows all day, including Digby Dragon, Wallykazam!, Peppa Pig, Ben and Holly's Little Kingdom, Thomas and Friends, Shimmer and Shine, Blaze and the Monster Machines, PAW Patrol, Alvinnn!!! And the Chipmunks, Bubble Guppies, Team Umizoomi, Zack & Quack, Wissper, Little Charmers, Puffin Rock, Humf, and Tickety Toc, plus there's another chance to enter into Barbie's magical world with the hit Barbie movies Barbie in the Nutcracker and Barbie and the Secret Door, join Thomas the Tank Engine and Friends on the Isle of Sodor in the popular Thomas and Friends movie Thomas: Tale of the Brave! Fans can also join Peppa and all her family and friends in two Nick Jr. Peppa marathons throughout the night on Nick Jr. from 12:30am (Monday 2nd January 2017)! Nick Jr. and Nick Jr. Too's full New Years Day schedules can be found on nickjr.co.uk. All shows and specials on Nick Jr. repeated one-hour later on Nick Jr.+1..
More Nick: New Years Eve 2016 On Nickelodeon UK, Nicktoons And Nick Jr.! 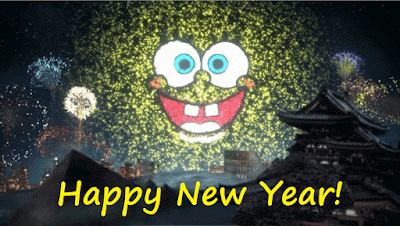 New Years Eve 2016 On Nickelodeon UK, Nicktoons And Nick Jr.
NickToons UK and Ireland will be celebrating New Year's Eve with a schedule packed full of episodes of SpongeBob SquarePants, Nick Kicks, The Loud House, Harvey Beaks, The Fairly OddParents, Breadwinners, Teenage Mutant Ninja Turtles (guest star David Tennant (Doctor Who) as Fugitoid), Sanjay and Craig and Power Rangers Megaforce! 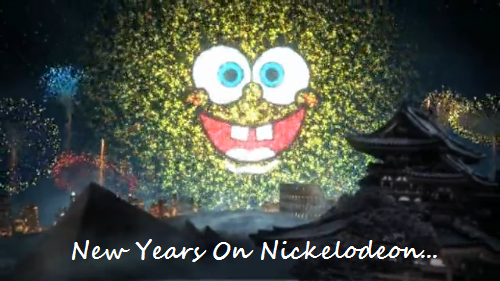 Nicktoons's full New Years Eve schedule can be found on nick.co.uk. Nick Jr. UK and Nick Jr. Too will be celebrating New Years Eve by showing episodes of favourite Nick Junior UK shows all day, including Digby Dragon, Peppa Pig, Ben and Holly's Little Kingdom, Shimmer and Shine, Blaze and the Monster Machines, PAW Patrol, Dora the Explorer, Alvinnn!!! And the Chipmunks, Bubble Guppies, Team Umizoomi, Zack & Quack, Wissper and Puffin Rock, plus there's another chance to enter into Barbie's magical world with the hit Barbie movies Barbie in the Pink Shoes, Barbie and the Secret Door and A Pony Tale! Counting down the last hour to 2016 will be back-to-back episodes of Blaze and the Monster Machines on Nick Jr. and the popular Barbie film A Pony Tale on Nick Jr. Too! Nick Jr. and Nick Jr. Too's full New Years Eve schedules can be found on nickjr.co.uk. All shows and specials on Nick Jr. repeated one-hour later on Nick Jr.+1..
Nick Jr. USA Digitally Premieres Full Episode Of Nickelodeon's New Preschool Series "Nella The Princess Knight"
To celebrate Nickelodeon USA's top-performing preschool programming block starting to premiere and show Nella the Princess Knight, a brand-new animated preschool series that centers on an unconventional heroine who goes on marvellous quests to show the world that there's more than one way to be a princess or a knight, very soon, Nick Jr. USA has digitally premiered a episode from the networks all-new series, "Knighty Knight Dragons"/"Inside and Seek" (#103), which fans in North America can watch in full for free here on NickJr.com! Created by Christine Ricci (curriculum consultant on Blaze and the Monster Machines and Team Umizoomi), Nella features a social-emotional curriculum highlighting relationship development and positive messaging that empowers preschoolers to be courageous. Nella the Princess Knight marks Nickelodeon's first co-production with U.K.-based corporate sibling Channel 5. In the brand-new Nella the Princess Knight episode "Knighty Knight Dragons", the kingdom is taken over by sleepy Dragons who have been forced out of their home by a monster! Then, in "Inside and Seek", Nella's wild friend Minatori wants to play hide and seek! Nick Jr. USA's official Nella the Princess Knight show page also features a super sneak-peek at Nickelodeon's all-new preschool series; a first-look at the shows theme song; and Nick USA's official Nella the Princess Knight launch trailer! More Nick: Double Dare Reunion: New Interview with Marc Summers, Robin Russo, and John Harvey | The Splat! More The Splat: Nickelodeon UK Takes Fans Back To The '90s With The Launch Of "The Splat" Website! Follow NickALive! on Twitter, Tumblr, Google+, via RSS, on Instagram, and/or Facebook for the latest Nickelodeon, Double Dare and The Splat News and Highlights! Your kids can become honorary members of the Paw Patrol at NickJr.com when they play all the fun levels of the 'Paw Patrol Academy' game. In the game, they can team up with their favorite pups, Marshall, Rubble, Chase, Skye, and Zuma and complete new challenges in each rescue mission. Your preschooler can play the PAW Patrol Academy game and many more preschool games at NickJr.com and in the free Nick Jr. App. Want more PAW Patrol? Watch PAW Patrol, weekdays on Nickelodeon and Nick Jr.: NickJr.com | NickJr.co.uk. Find more games and stream full episodes for FREE in the Nick Jr. App: iTunes, Google Play, and Amazon! PAW Patrol Pups Take Flight: iPhone | iPad | Google | Amazon. More Nick Jr.: Play the 'Carnival Creations' Game w/ Marshall, Blaze & All Your Nick Jr. Friends | Games! 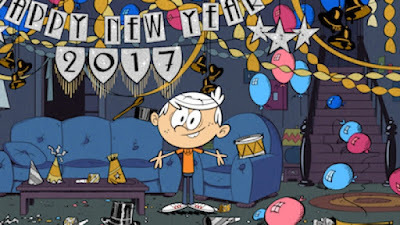 More Nick: Countdown To 2017 With "Lincoln Loud’s Ultimate Year End Countdown-a-thon", This New Years Eve On Nickelodeon USA! Follow NickALive! on Twitter, Tumblr, Google+, via RSS, on Instagram, and/or Facebook for the latest Holidays on Nickelodeon News and Highlights! More Nick: "Paradise Run" Season Two: Host Daniella Monet Previews New Competitors (Plus Sneak Peek Clip)! Power Rangers Dino Charge | Mega Moments: Power Drill! In this Mega Moment from Power Rangers Dino Charge, Shelby (Camille Hyde) unleashes a new weapon in the fight against Sledge (Adam Gardiner)! More Nickmas: The Splat's Christmas Cheer w/ Kenan & Kel, Hey Arnold and Rugrats | Nickelodeon UK! Re-Re-ReWIND! : Visit nick.co.uk/thesplat for even more Nickelodeon classics! Follow NickALive! on Twitter, Tumblr, Google+, via RSS, on Instagram, and/or Facebook for the latest Christmas on Nickelodeon UK and The Splat UK News and Highlights! Mehr Videos von Henry Danger findest du hier: http://s.nick.de/U8B2! Follow NickALive! on Twitter, Tumblr, Google+, via RSS, on Instagram, and/or Facebook for all the latest Nickelodeon Germany and Henry Danger News and Highlights! Nickelodeon Russia has announced the exciting news in the following press release, via Viacom International Media Networks (VIMN) Russia's official Press Office, that Nickelodeon Russia (Россия) will premiere Albert, the first original animated TV movie Nickelodeon has ever made, on Saturday 31st December 2016 at 10:00 MCK! Following the films debut, Nickelodeon Россия will encore Albert, locally titled Альберт, later the same day at 12:15 MCK, 16:15 MCK and 20:15 MCK, and on Sunday 1st January 2017 at 10:00 MCK, 12:15 MCK and 16:15 MCK. 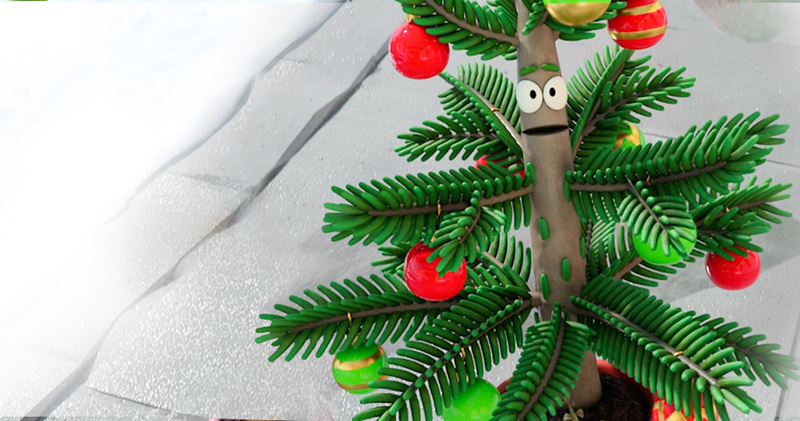 Albert is the story of a tiny Douglas fir tree named Albert (Альберт) who has big dreams of becoming Empire City’s most famous Christmas tree. When the search for this year’s tree is announced, Albert believes he has found his calling and hits the road with his two best friends, Maisie (Мэйси/Mehjsi), the persistently positive palm tree, and Gene (Джин/Dzhin) the abrasive and blisteringly honest weed, to fulfill his destiny. With a few prickly situations along the way, and Cactus Pete (Пит/Pit) out to stop him, Albert learns the true meaning of Christmas. The hour-long CG-animated TV movie will also feature two original songs, “The Best Thing That Can Happen to Christmas” and “Christmasiest Christmas,” performed by the voice cast. L-R: Maisie, Gene, Cactus Pete, and Albert in Nickelodeon’s TV movie, Albert. The US-English dub of Nickelodeon's brand-new animated TV movie features a star-studded cast, including Bobby Moynihan (Saturday Night Live) in the title role; Sasheer Zamata (Saturday Night Live) as Maisie, the persistently positive palm tree; Judah Friedlander (30 Rock) as Gene, the abrasive and blisteringly honest weed; Rob Riggle (21 Jump Street) as Cactus Pete; Cheri Oteri (Saturday Night Live) as a TV news correspondent; Brenna Yde (School of Rock (Школа рока)) as Molly, Earth Mama’s granddaughter; John DiMaggio (Adventure Time) as Donny, Molly’s father; and Mary Pat Gleason (Mom) as Earth Mama, the owner and caretaker of the nursery. Albert is directed by Oscar®-nominated Max Lang (The Gruffalo), executive produced by Will McRobb and Chris Viscardi (The Adventures of Pete & Pete), and written by Will and Aaron Eisenberg (The Massively Mixed-Up Middle School Mystery) and Joe Stillman (Shrek). The Eisenbergs are also co-executive producers, and Viscardi serves as Nickelodeon’s SVP, Content Development, Nickelodeon Franchise Properties. To celebrate Nickelodeon Russia debuting Albert, nickelodeon.ru has launched the channels' official Альберт movie website, which features information about Nick's brand-new movie and character bios for Albert (Альберт), Maisie (Мэйси/Mehjsi), Gene (Джин/Dzhin) and Cactus Pete (Пит/Pit). Nick and More are reporting the magical news that Nicktoons USA, Nickelodeon USA's animation and action channel, will start to premiere and show more brand-new episodes from the all-new tenth season of The Fairly OddParents every Wednesday at 9:00pm ET/PT from Wednesday 18th January 2017, beginning with the brand-new FOP episode "Certifiable Super Sitter"! 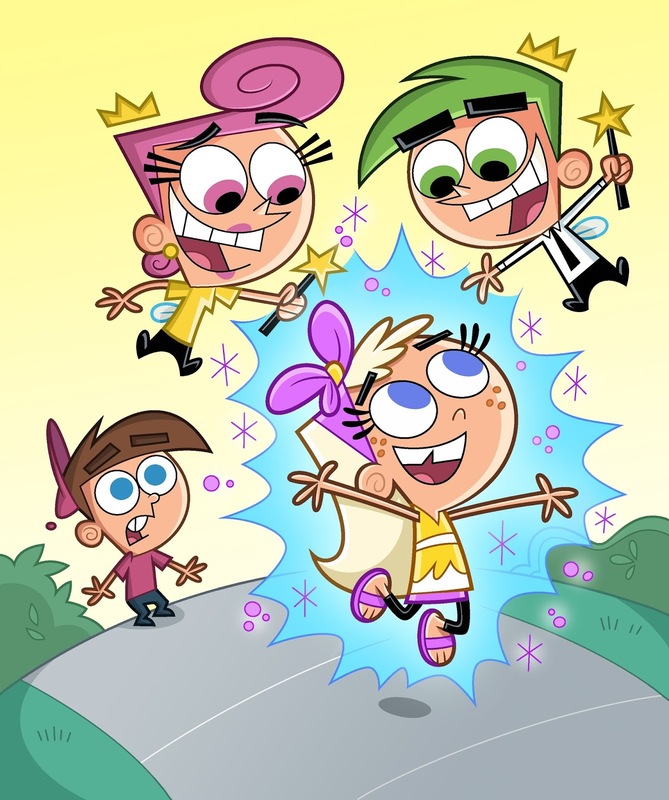 To celebrate the premiere of more all-new episodes of Fairly OddParents season 10, Nicktoons will be hosting a 60-hour "Fairly Odd Takeover" marathon between 6:00am ET/PT on Saturday 14th January 2017 through to 6:00pm ET/PT on Monday 16th January 2017! What are you most looking forward to watching in 2017? Let NickALive! know in the comments! More Nick: 2017 On Nickelodeon USA! Follow NickALive! on Twitter, Tumblr, Google+, via RSS, on Instagram, and/or Facebook for the latest 2017 on Nickelodeon News and Highlights! Hollywood legend Debbie Reynolds sadly passed away on Wednesday 28th December 2016, aged 84, just a day after her daughter, famed actor and author Carrie Fisher sadly passed away after suffering a heart attack. Debbie Reynolds and Carrie Fisher at the Screen Actors Guild Awards together in 2015. Considered Hollywood royalty, Debbie shot to fame thanks to her portrayal of Kathy Selden in Singing' in the Rain. She went on to have her own television series, The Debbie Reynolds Show, which ran from 1969 to 1970 and landed her a Golden Globe nomination. But there was one role which you more than likely saw her in but never knew it was Debbie behind it. The actress voiced Lulu Pickles, Grandpa Lou's wife, in the hit Nickelodeon Movie Rugrats in Paris: The Movie and subsequent episodes of Rugrats. The movie, released in 2000, opened at the wedding reception of Lou and Lulu in a parody of The Godfather. 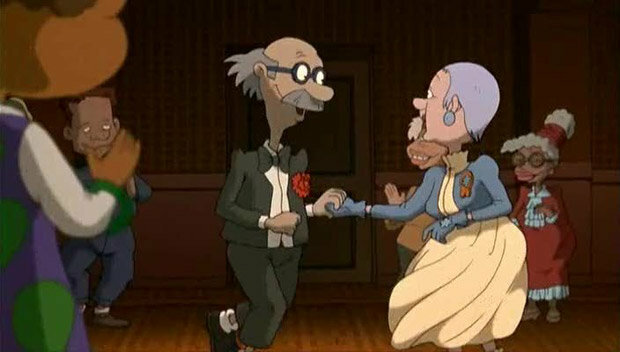 It went on to include a mother-child dance which upset Chuckie Finster as his mother died shortly after he was born. The scene kickstarted one of the main storylines of the film, in which Chuckie's dad Chas fell in love with Kira Watanabe. This then added her daughter Kimberly "Kimi" Watanabe-Finster as a new Rugrat and she joined the Nickelodeon series thereafter. Louise "Lulu" Jonston-Pickles is the second wife of Lou Pickles. 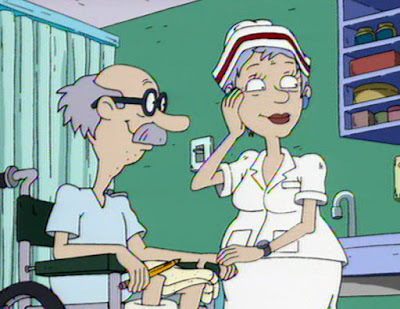 Lulu works as a nurse at the local hospital, and met Grandpa Lou when he broke his leg during a dance at a retirement home. However, they first had met years earlier in Europe in 1943, when Lou was a soldier, and Lulu was a singer for the soldiers. She had a lovely voice but had the worst memory with the lyrics, much to the constant annoyance of the other soldiers (some of whom had to shout the lyrics to her). Lou, wanting to get her attention, had cooked her a meal since he was also the cook there. But before Lulu could thank him, the shy Lou ran off. Realizing it is her, Lou asks her to sing another one. But some things never change as Lulu sang sweetly but once again couldn't remember the lyrics to the song. She and Lou quickly fell in love. 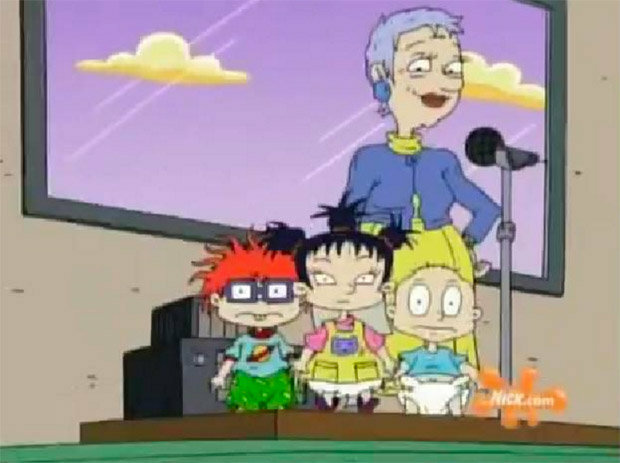 Lulu has a great-niece named Sarah "Taffy" Maynston, voiced by Nickelodeon alum Amanda Bynes (All That, The Amanda Show), who babysat the Rugrats in later episodes of the series. Strange coincidence: Amanda Bynes did the voice of one of Charlotte's daughters, Nellie, in Charlotte's Web 2: Wilbur's Great Adventure. Whilst Debbie Reynolds provided the voice for Charlotte in the original 1973 Charlotte's Web film. More Nick: The Miracle of Chanukah | Rugrats | The Splat! Follow NickALive! on Twitter, Tumblr, Google+, via RSS, on Instagram, and/or Facebook for the latest Holidays on Nickelodeon and The Splat News and Highlights! Scene from The Loud House episode "A Novel Idea". More Nick: TeenNick #MusicParty | Dal 2 al 8 gennaio | SKY 606 | Nickelodeon Italia! Follow NickALive! on Twitter, Tumblr, Google+, via RSS, on Instagram, and/or Facebook for the latest Nickelodeon Italy and The Loud House News and Highlights! More Nick: Never-Before-Seen Nicky, Ricky, Dicky, & Dawn Auditions | Nickelodeon! More Nick: 5 momentos épicos de Yo Soy Franky | Nickelodeon Latinoamérica! Retrouve plein de vidéos de Carotina Superbip sur NICKELODEON JUNIOR ! More Nickelodeon Junior: Carotina Superbip | Le soleil est de retour | NICKELODEON JUNIOR FRANCE! Follow NickALive! on Twitter, Tumblr, Google+, via RSS, on Instagram, and/or Facebook for the latest Nickelodeon Junior France News and Highlights! More Nickelodeon Junior: 1, 2, 3… Coloriage | Episode 122: PAW Patrol (EN INTEGRALITE) | NICKELODEON JUNIOR FRANCE! Watch more Dora The Explorer on Nickelodeon and Nickelodeon Junior! Scene from The Loud House episode "The Price of Admission". More Nickelodeon: The Loud House Theme Song (HQ) | Episode Opening Credits | French Version | Nickelodeon France! The Hungarian children's television news blog Gyerek-Világ is reporting the exciting news that Nickelodeon Central and Eastern Europe (CEE) will start to premiere and show Nickelodeon's spell-binding fantasy television series Every Witch Way weekdays at 20:15 from Monday 30th January 2017! Inspired by the daily telenovela format, Every Witch Way follows 14-year-old Emma Alonso, as she moves to Miami and her ordinary life is turned upside-down when she discovers that she is a witch. Luckily, Emma quickly finds a friend in tomboy Andi, but when Emma develops a crush on the boy next door, Daniel, she also has to deal with his Queen Bee ex-girlfriend Maddie, a girl who has her own magical family secret. Just as Emma's newfound witch skills start to materialise, she also has to negotiate the halls of Iridium High. Maddie and her clique The Panthers run the school, and the boys on the swim team, the Sharks, are always up to something to win or impress a girl. Plus there's no chance of getting away with any social blunders as Miss Information, the school gossip, documents everything on her blog read by the entire school. In the premiere episode "Discovery", strange things start happening to Emma when she moves to Miami and gets to grips with a new home, new school and new friends. Every Witch Way stars Paola Andino as Emma Alonso, Paris Smith as Maddie Van Pelt, Nick Merico as Daniel Miller, Daniela Nieves as Andi Cruz, Tyler Alvarez as Diego Rueda, Zoey Burger as Gigi Rueda (Miss Information), Autumn Wendel as Sophie Johnson, Denisea Wilson as Katie Rice, Kendall Ryan Sanders as Tony Myers, Mavrick Moreno as Mac Davis, and Jason Drucker, Jackie Frazey and Louis Tomeo as Tommy Miller, Melanie Miller and Robbie Miller (also known as The Terrible Three), respectively. Every Witch Way is written by Catharina Ledeboer (Grachi, Hollywood Heights, General Hospital) and produced by Nickelodeon Latin America and Cinemat. Every Witch Way will be locally titled A legboszibb boszi on Nickelodeon Hungary. Nickelodeon Central and Eastern Europe comprises Nickelodeon Malta, Nickelodeon Romania, Nickelodeon Hungary, Nickelodeon Czech Republic, Nickelodeon Croatia, Nickelodeon Ukraine, Nickelodeon Slovenia, Nickelodeon Serbia, and Nickelodeon Bulgaria. Follow NickALive! on Twitter, Tumblr, Google+, via RSS, on Instagram, and/or Facebook for all the latest Nickelodeon Central and Eastern Europe and Every Witch Way News and Highlights! Nickelodeon USA and The Loud House’s Lincoln Loud ring in 2017 during Lincoln Loud’s Ultimate Year End Countdown-a-thon, a special marathon featuring encore episodes of The Loud House and custom videos, Saturday, Dec. 31, from 8:00p.m. (ET/PT) to 12:00am (ET/PT) on Nick USA! Throughout the New Year’s Eve marathon, brand-new short videos will showcase Lincoln revealing his favorite pranks, pets, missions, food, and lessons learned in 2016. Additionally, Lincoln will countdown to the new year before the clock strikes midnight! Viewers can visit the The Loud House page on Nick.com and the Nick App to get a behind-the-scenes look at the series and the brand-new Facebook page. On Instagram, fans can experience The Loud House Instacomic, an interactive, digital comic book allowing users to help Lincoln Loud on his quest to find the missing remote control. Episodes of The Loud House are available on Nick.com and the Nick App, along with platforms including iTunes, Amazon, Xbox, Google Play, Vudu, Playstation, and Nick On Demand. The Loud House will return to Nickelodeon USA with all new episodes beginning Monday, Jan. 9, at 5:00p.m. (ET/PT). In “Suite and Sour,” after Mom and Dad win a trip to a resort, they decide to take the kids – but only because they promised to behave! NEW YORK--(BUSINESS WIRE)--Nickelodeon finished 2016 as the number-one kids’ network for the year and as basic cable’s top entertainment network with total viewers (1.2M) in total day. According to Nielsen Media Research for 12/28/15-12/25/16, Nickelodeon is number one with K2-11, averaging a 2.1/623K, on par with last year, while +31% ahead of Disney Channel (1.6/468K—down -20% vs. year ago) and +75% ahead of Cartoon Network (1.2/368K—down -20% vs. year ago). Nickelodeon also is basic cable’s top entertainment network with total viewers for the total day, with its current average of 1.2 million Persons 2+ out-performing Disney Channel by +22% (1.0M, down -18% vs. year ago) and Cartoon Network by +46% (847K, down -16% vs. year ago). With K2-5, Nick is number one, with an average of 2.7/301K, on par with last year and +108% ahead of Disney Channel (1.3/145K—down -19% vs. year ago) and +145% ahead of Cartoon Network (1.1/121K—down -8% vs. year ago). Among Kids 6-11, Nick is tied for first with Disney Channel: Nick’s 1.8/322K with K6-11 is on par with its prior-year performance, while Disney’s 1.8/322K represents an -18% decline. * Six out of the top 10 preschool programs, including the number-one Blaze and the Monster Machines, followed by #3 PAW Patrol, #5 Bubble Guppies, #6 Rusty Rivets, #7 Team Umizoomi and #8 Shimmer and Shine. * The top kids’ animated shows, with SpongeBob SquarePants (3.4/984K) and The Loud House (3.3/950K), which year to date are number one and number two, respectively with Kids 2-11. * 2016's top-rated entertainment telecast with kids: an hour-long episode of the top-ranked, live-action hit Henry Danger (11/11/16), which averaged 8.2/2.3MM with Kids 2-11 and drew 4.2MM total viewers. * In digital, over 1.5B streams were generated in 2016 across the Nick Jr. App and NickJr.com, while three of its preschool apps—PAW Patrol Pups Take Flight, Blaze and the Monster Machines Dinosaur Rescue, and TMNT Half Shell Heroes—reached number one in the App Store’s Kids and Education categories. * Albert, Nickelodeon’s first original animated TV movie, delivered 3.1M total viewers in Live+7 and posted notable triple-digit year ago gains with Kids 2-11 (5.7/1.6M, +159%) and Kids 6-11 (6.3/1.1M, +152%). Nickelodeon, now in its 37th year, is the number-one entertainment brand for kids. It has built a diverse, global business by putting kids first in everything it does. The company includes television programming and production in the United States and around the world, plus consumer products, online, recreation, books and feature films. Nickelodeon’s U.S. television network is seen in more than 90 million households and has been the number-one-rated basic cable network for 19 consecutive years. For more information or artwork, visit http://www.nickpress.com. Nickelodeon and all related titles, characters and logos are trademarks of Viacom Inc. (NASDAQ: VIA, VIA.B). 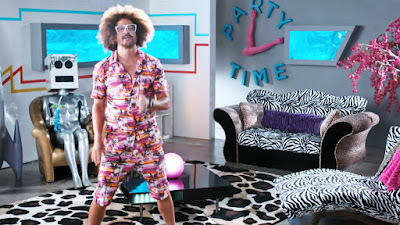 The online British and Irish TV guide website Digiguide is reporting the exciting news that Nickelodeon UK and Ireland and Nickelodeon HD UK, the number one commercial kids TV network in the UK, will start to show Say It In Song, MTV's popular music-driven reality series hosted by LMFAO's Red Foo, every Saturday at 7:30pm and Sunday at 7:00pm from Saturday 14th January 2017, as part of Nick UK & Eire's nick@nite evening programming block! Say It In Song spotlights music’s unique ability to connect people in an emotional and powerful way. When MTV viewers find it hard to find the right words to say how they really feel or just need some help expressing themselves, host Red Foo encourages them to use a specific song to convey a special message to someone close. Whether they’re asking a long-time crush to prom, telling an unfair boss “I quit”, or trying to win back an ex, there’s always the perfect song to deliver the message. The show has all the excitement and surprise of the hidden camera caper - like MTV's hit series Punk’d - mixed with the drama and emotional story-telling of Made. Each episode focuses on two stories of people wanting to get a special message across to someone close to them - a girlfriend/boyfriend, parent, roommate, BFF, sibling or boss — or maybe someone they just met. 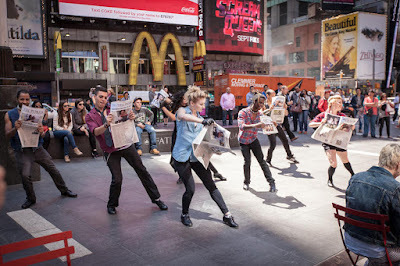 Red Foo and the MTV production team provide help along the way, planning out the best way to deliver the message. When words aren’t enough, the right song can say it all! Want more Nick Jr. games? Go online to NickJr.com to find the best preschool games featuring your child's favorite Nick Jr. friends. Check out all of the fun Nick Jr. shows weekdays on Nickelodeon and Nick Jr.: NickJr.com | NickJr.co.uk. Download the free Nick Jr. app on iTunes, Google Play, and Amazon! More Nick: Play the Free ‘Nick Jr. Holiday Workshop Game’ w/ PAW Patrol & More Favorite Characters | Games! "Blaze Light Riders" Brand-New Special Official Trailer | Blaze and the Monster Machines | Nick Jr.
Want more Blaze and the Monster Machines? Watch Blaze and the Monster Machines, weekdays on Nickelodeon and Nick Jr.: NickJr.com | NickJr.co.uk. Stream full episodes for FREE in the Nick Jr. App on Roku and Apple TV or download Blaze and the Monster Machine episodes for offline viewing on iTunes and Google Play. Download the Blaze and the Monster Machines App on iTunes, Google Play, and Amazon: iPhone, iPad, Google Play, and Amazon. More Nick: Kelsea Ballerini To Guest Star On Nickelodeon's "Blaze And The Monster Machines"! Follow NickALive! on Twitter, Tumblr, Google+, via RSS, on Instagram, and/or Facebook for the latest Nickelodeon Preschool and Blaze and the Monster Machines News and Highlights! Power Rangers Dino Charge I Everyday Heroes - Easy as Cake! Additional sources: Patrick Julien, RangerWiki. More Nick: Teenage Mutant Ninja Turtles | Comic Book Heroes | Bat In The Belfry | Nickelodeon UK! More Nickmas: Ho Ho Holiday | Il quiz di Natale con Jace Norman | Nickelodeon Italia! Power Rangers Samurai - It Snowed! 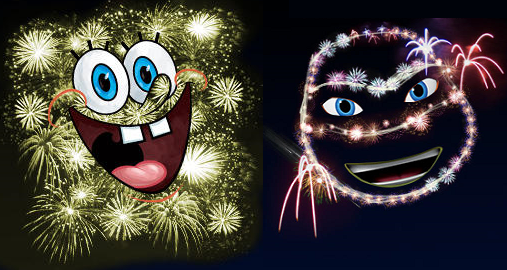 Light Up Your Holidays With Nickelodeon!